Posted on June 5, 2018 at 1:36 am. Your thermostat serves as the brain that controls the functions of your heating and cooling system. With technological advancements, its operation has improved from plain settings to automatic functions. And this has made great changes in people’s life and comfort. 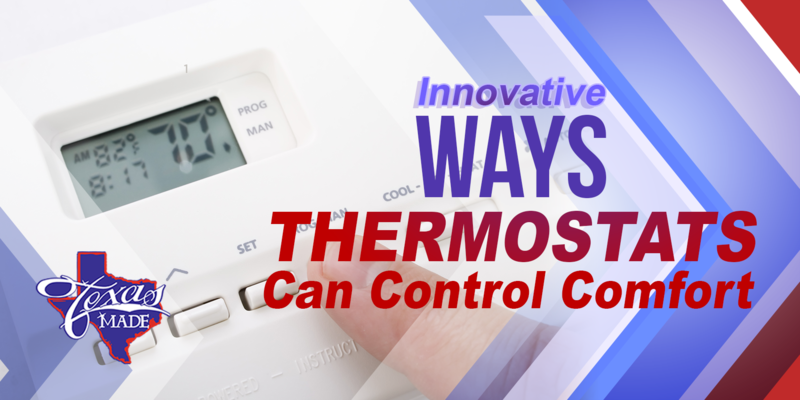 Thermostats are responsible for controlling your home’s temperature. But don’t you know that they can help keep humidity levels at bay? Modern thermostats can also go above and beyond managing your home’s humidity which is one of the prime concerns in many residential and commercial buildings during summer. For a cooler and more comfortable indoor atmosphere, you may choose to set the thermostat a bit lower. Maintenance services are important to keep your heating and cooling system in its optimum performance and efficiency. But due to a busy schedule or long list of activities in and out of your home, there is a high possibility that you will forget this critical task. Switching to a more upgraded thermostat can help you with this problem. Modern thermostats allow you to set maintenance reminders to keep you up-to-date with filter replacement, system cleaning, and other maintenance checks. There are different factors that can harm the quality of air inside your home. One of which is poor ventilation. When your home is not properly ventilated, you are locking stale air inside which pollutes your indoor air and gives you an unhealthy indoor environment. Additionally, too high or too low humidity level can also bring danger to your indoor air quality and can cause microbial growth. Fortunately, by upgrading your thermostat, you can address these issues and maintain a healthy IAQ inside your home by monitoring ventilation and keeping you posted of the necessary tasks that you need to do for a cleaner and healthier home. Are you planning to make an upgrade on your thermostat? There is only one heating and cooling company to call. Texas Made Air Conditioning and Heating can help you find the best upgrade on your controls so you can enjoy great comfort in your home. Schedule a service today or call for a free estimate.